Word is the Air Jordan 32 is inspired by the Jordan 2, much like last year’s Air Jordan 1-inspired Air Jordan XXX1. Today we get a peep in on what’s to come, and well – it’s a little bit weird – but it is a natural progression from the Jordan 31. The sneaker we copped a first look at is one of the first to drop called “MJ Day” that debuts on October 18th. This release date is no accident either – it’s the anniversary of the day that Michael Jordan violated the NBA’s rules on sneakers in 1984. 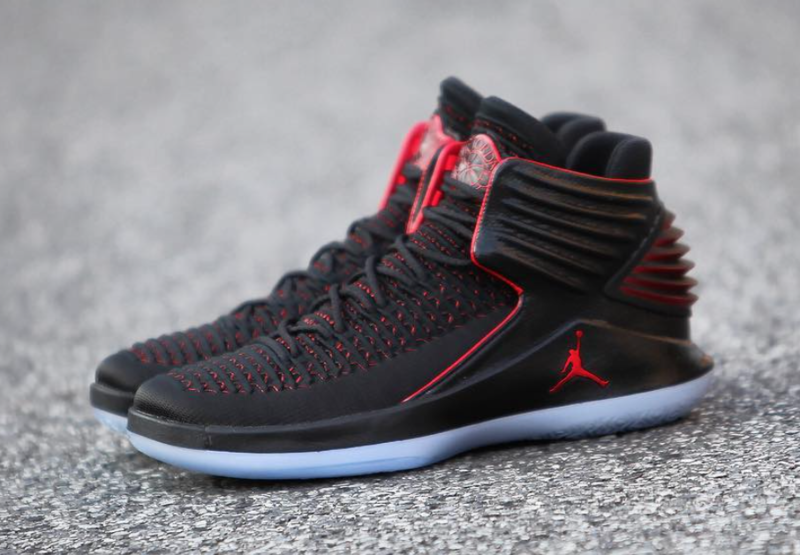 The “MJ Day” comes decked in a Bred-like color scheme of Black and University Red. Inspired by the Air Jordan 2, the Air Jordan XXX2 features a ribbed collar and heel and the same branded Wings logo on the tongues. We’re still waiting for our first full look at these so stay tuned. Get your first full look at the Air Jordan 32 “MJ Day” via US11.